As per usual, it's been a long time since I last posted an update and I'm sure there are at least a few people wondering what I've been up to. Well, let me break it down. 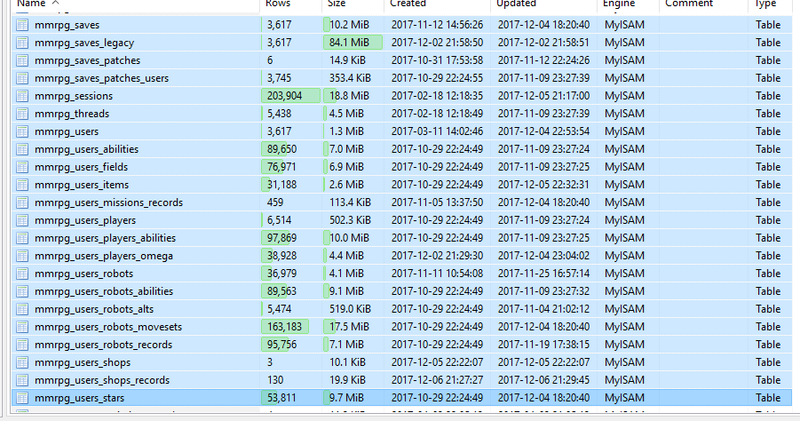 When I first added user accounts and save functionality to the prototype, I wasn't sure what or how much game data would need to be saved across sessions and decided to take a "quick and dirty" approach to storage. All game data - and yes I do mean *all* of it - was and is stored in the current session as an array named "GAME". The GAME array has hundreds of nested child arrays for different values, counters, and flags. Everything from current zenny, battle points, settings, rewards, unlocked robots/players/abilities, collected stars, shop history, mission progress, and so much more are stored in this one array. 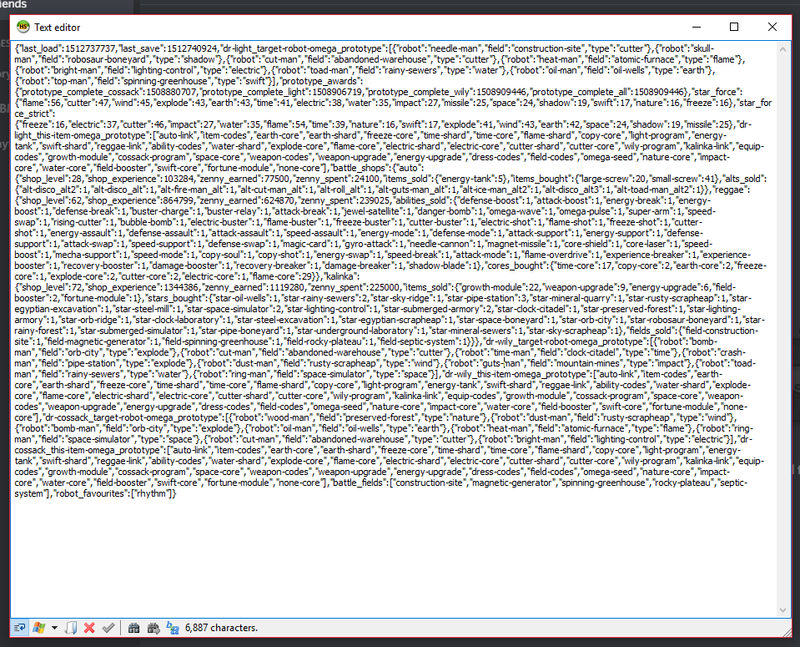 Whenever you "save" your game (or it happens automatically), the *entire* GAME array is compressed into a giant text blob and then saved into a single field of a single row in the database. This was very easy to implement but, naturally, my laziness has created many challenges and difficulties for me as the game continues to grow in scope and complexity. Given the above, it's super important that I modify the structure of the game's save data and optimize how it's stored/accessed/modified going forward. I need to make sure every one of those nested arrays are instead stored separately in their own database tables. There needs to be a separate table for robots unlocked by users, abilities unlocked by those robots, abilities currently equipped to those robots, abilities unlocked by a specific player, abilities purchased from the shop, etc. and instead of saving all those things to the database at once during a single "save" sequence, they should added/modified *as you're doing them* so they're properly validated and indexed. This is obviously a HUGE task and even though I've been working on it for almost a year I'm still not done. I'm close, but I've been saying that for months and the TODO list is still quite long. Even so, I'm working on it whenever I have time and I hope the community hasn't completely abandoned the project once I finally do finish. i really don't know that one. Are those the dark versions of Mega Man, Bass, Proto Man, Roll, Disco and Rhythm?